Nowadays, each company requires skilled and qualified candidate for the growth of their company. 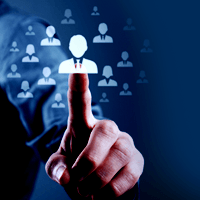 In order to find the right aspirant for a certain job vacancy, you can avail our services. At Global Placement & Career Guidance Center Nashik, we are instrumental in rendering excellent manpower recruitment services to the organizations across Nashik (Maharashtra, India). Understanding the precise requirements of various fraternities, we have been successful in forming a wide database comprising potential candidates, fresher, and experienced job seekers with skills and high qualifications. Thus, you can contact us anytime for getting potential manpower for your company by availing our services.